It is a corporate training company in Bangalore. Here you will learn trending courses like Machine learning, Data science, DevOps, Blockchain. 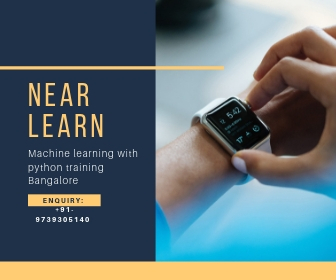 NearLearn brings you the Industry Expert Trainers, rich technical contents, hands-on experience near to your City. Our Niche Workshop training model has been rated highly satisfactory among all participants. We assure you that after completion of your course at NearLearn, you will be job ready in IT industry.